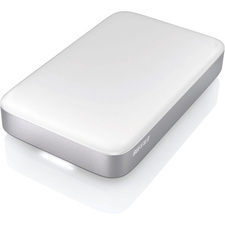 Portable Security for your Data at the Speed of USB 3.0With real-time AES hardware encryption, software free design and a super speed USB 3.0 connection, you can secure your data faster than ever before.Looking for an effortless way to secure your data while taking advantage of the fastest USB 3.0 speeds? Look no further than the Aegis Padlock 3.0, the latest and fastest of Apricorn's Secure Drive line. 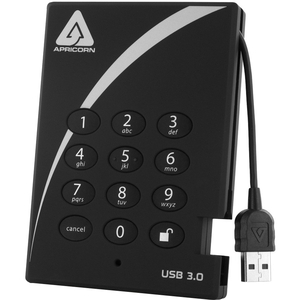 With the same easy-to-use keypad design and software free setup, the Aegis Padlock 3.0 enables you to access the drive with your own unique pin but now at data transfer speeds of up to 5Gbps.Utilizes Military Grade FIPS PUB 197 Validated Encryption Algorithm Featuring your choice of AES-XTS 128 or 256-bit hardware encryption, the Aegis Padlock 3.0 seamlessly encrypts all data on the drive in real-time, keeping your data safe even if the hard drive is removed from its enclosure.